Money is an important topic for practically everyone so there is a lot of financial advice. If you are new to personal finance, separating the bad from the good can be difficult. 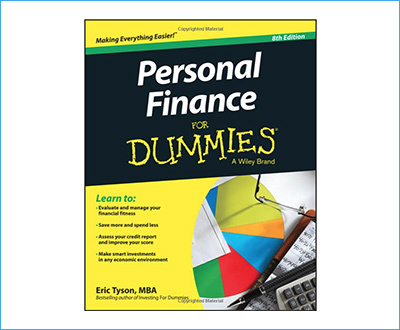 Personal Finance for Dummies is one book that offers a solution. For this article, we’ve put together a review of this book to see just how helpful it is. This book is a fairly broad overview of various personal finance issues that once could come across over the course of life. It covers general financial health topics like money management, as well as having several dedicated sections to topics like insurance, debt, and investments. While mostly structured like a textbook, the author does tend to throw in lots of examples and personal anecdotes to keep it from being too dry. Eric Tyson is one of the regular finance writers for the Dummies series, having also written books like “Real Estate Investing for Dummies” and “Taxes for Dummies”, and has extensive experience as a personal financial consultant. The resulting advice is a good mix of the technical and the practical, with theory almost always coupled with ways in which you can apply it in practice. As the title states, it is a book that mostly focuses on people new to personal finance or those looking for a refresher on basic concepts. Not all financial advice is equal. Many financial advisors are also often brokers or have deals with specific companies, recommending their products even if they may not be the best choice for your situation. That is why picking the right advisor is important, and the book devotes a long section on how to do so. Debt is not always a bad thing. Taking out debt to purchase something that is expected to grow in value, such as a house, can often be a good choice. By comparison, using credit to buy items that decrease in value over time, like cars, electronics or appliances, is almost always a bad choice. Always check your investment funds for commissions and fees. While one fund may offer better performance than another, it could end up making you less money overall because a large amount of the growth goes towards commissions, fees or management expenses. Like most Dummies books, Personal Finance for Dummies made for a very easy read and offered plenty of practical examples throughout the book. The good mix of textbook-style explanations and DIY-style practical projects not only makes for an engaging reading experience, but also makes it accessible for different kinds of learners. The book also gets a lot of value from Eric Tyson’s no-nonsense approach to finance. 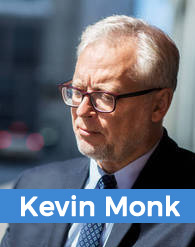 He repeatedly stresses the importance of building good habits and focusing on the long term, underscoring the fact that there are no easy solutions or shortcuts when it comes to making money and having your finances in order. While for the most part, the advice in Personal Finance for Dummies is broadly applicable to people in all stages of their life, in a few places the author’s personal biases shine through. He is very adamant that owning a home is the best long-term financial choice for everyone, which is increasingly in question. Similarly, much of the book’s advice focuses on U.S.-based readers, with an occasional nod to the differences that Canadian readers may encounter. If you are living, or planning to live, elsewhere, you have to be aware that much of the book’s advice on things like taxes, insurance or saving for retirement will not be very helpful. Reading through Personal Finance for Dummies, we were impressed by its helpful and informative approach to personal finance. Many other reviewers and financial advisers agree. If you are a novice to personal finance or want a reference to keep you up to date on important aspects of managing your money, this book is among the best on the market. What is your take on this book? Get in touch and tell us what you think!